Following the leak showing us the upcoming Samsung Galaxy S7 active in a new (and strange) hue, it's now time for the OnePlus 3 to get the leaked press render treatment. This is once again happening courtesy of @evleaks, who has obtained the image you can see below, showing the OnePlus 3 in all its glory. The metal unibody construction of the device is clearly portrayed in these renders, marking the Chinese company's first such design. Gone is the signature "sandstone" back cover, and the glass solution from the OnePlus X is nowhere to be found either. Instead, you'll be touching pure, naked metal each time you pick the OnePlus 3 up. Today's renders line up with what we've seen from a couple of live image leaks from earlier this month (although the color version shown is different). So at this point there's no reason to doubt that this is in fact what the next OnePlus flagship will look like. The phone should feature an AMOLED screen, as well as a 3,000 mAh battery, according to the source of the leak. 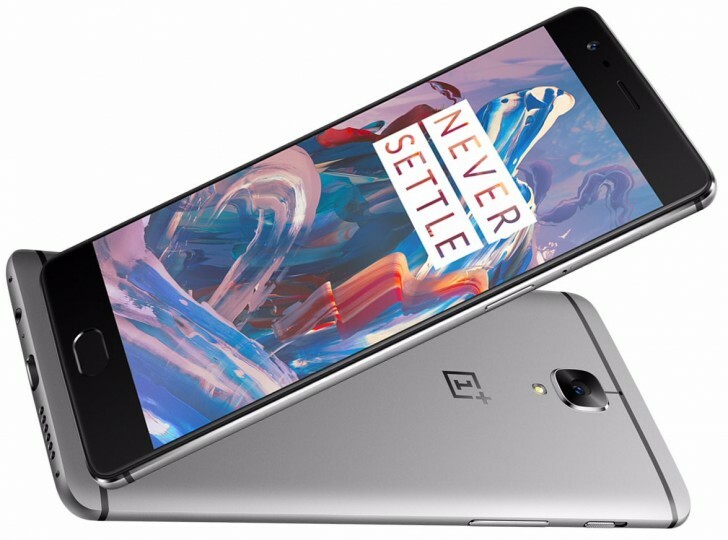 Past rumors had the OnePlus 3 coming with Qualcomm's Snapdragon 820 chipset, 4 or 6GB of RAM, a 16 MP rear camera, an 8 MP selfie shooter, and Android 6.0.1 Marshmallow. It will have a USB Type-C port and a fingerprint scanner as you'd expect. Thanks for the tips, Dixit and Aditya Singh! You still don't get it. I'm done wasting my time explaining.